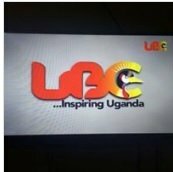 General TV Channel / Uganda Broadcasting Corporation (UBC) is the public broadcaster of Uganda. It was founded as a result of the "Uganda Broadcasting Corporation Act, 2004", which merged the operations of Uganda Television (UTV) and Radio Uganda. It started broadcasting on November 16, 2005. The Uganda Broadcasting Corporation Act stated that the UBC should be funded by the levying of a television licence fee. Collection of a licence fee set at US$ 10.80 started in 2005. However, collection was subsequently halted by President Yoweri Museveni. There has since been pressure to reinstate the licence fee to maintain UBC's independence. UBC operates the UBC TV channel and five radio stations.